WISH LESS gallery is thrilled to announce the 2nd solo exhibition by British artist A.CE titled ‘DAY TRIPS’. His innovative work with its bold graphics produced using a dynamic collage technique inspired by Dadaism and 80’s pop has many admirers. 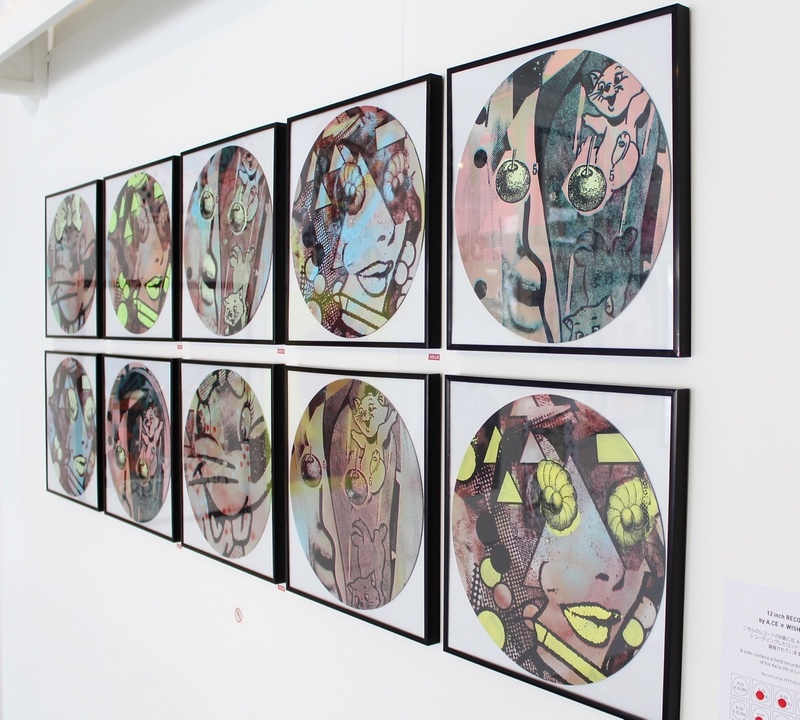 He has become one of the most respected and recognised street artists in London and with his growing popularity the value of his work has continued to increase, one of his iconic prints recently sold for a new record high for his art at auction in Paris. His elegant and instantly recognisable signature style has a devoted following in the fashion industry. In this exhibition we have collaborated with A.CE to produce a series of unique 12” clear vinyl records, one side has a field recording of his daily life in London and the other side has been customised by the artist. During the exhibition we’ll be holding a special T-shirt event at which A.CE garments will be screen printed live with a selection of his graphics and slogans to create unique T-shirts. 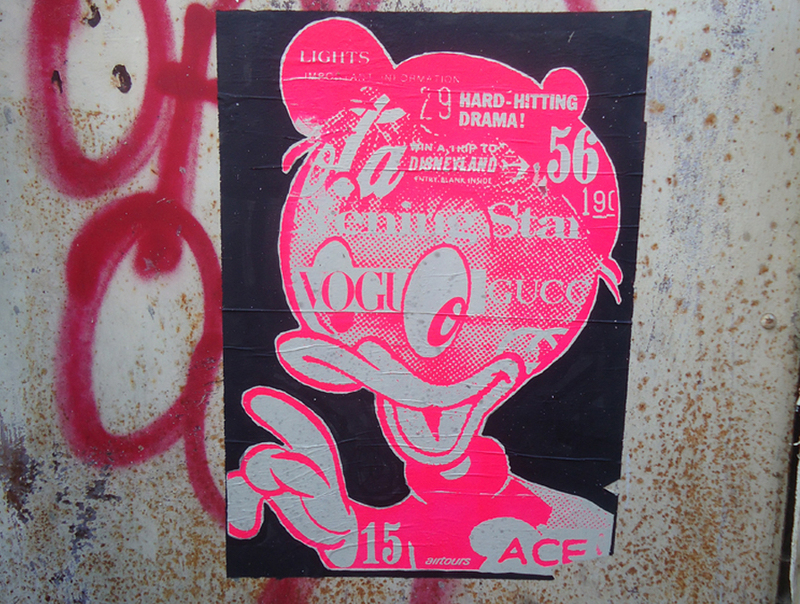 We’ll also have a very limited amount of the book ‘It’s a Stick-Up: 20 Real Wheat Paste-Ups from the World’s Greatest Street Artists’ with hand-painted covers by A.CE from his personal archive. A.CE is a London based artist. He has been a key figure in the UK street art scene for over 15 years. In that time his instantly recognisable wheat-pasted images have featured prominently across the urban landscape. Drawing inspiration in part from Dada collage and classic pop art, to his time as a skateboarder and the bold graphics he encountered during this time, his work is a raw presentation of nostalgic imagery intuitively selected, blended and remixed with contemporary fragments, resulting in a new narrative with ambiguities and incongruities, humour and messages that reflect the absurdities of popular culture and a consumer driven society. 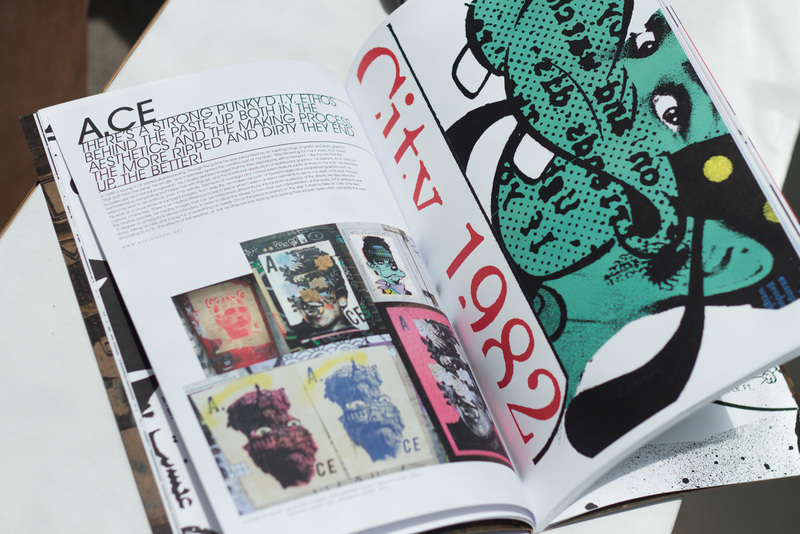 His art has been featured in a number of notable street art books and exhibited in galleries across the world, including London, Chicago and New York. His work has been commissioned by Stussy, The Big Issue, Reebok and Ace Hotel, and with growing popularity the value of his work has continued to increase, with works reaching record prices at recent auctions and shows. Next A.CE T-shirt customizing event! 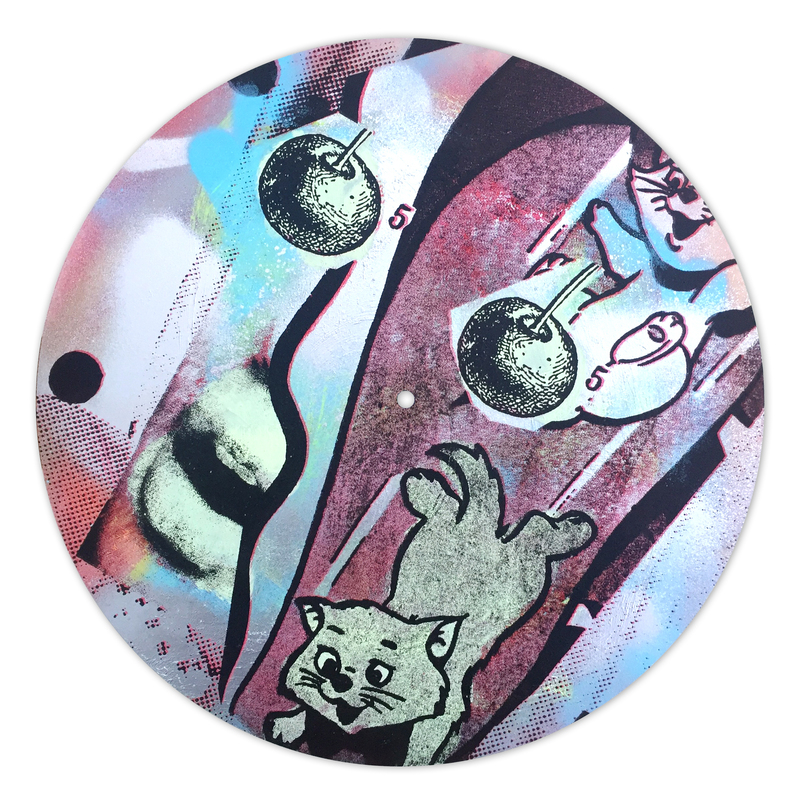 Pingback: A.CE T-shirt customizing event!